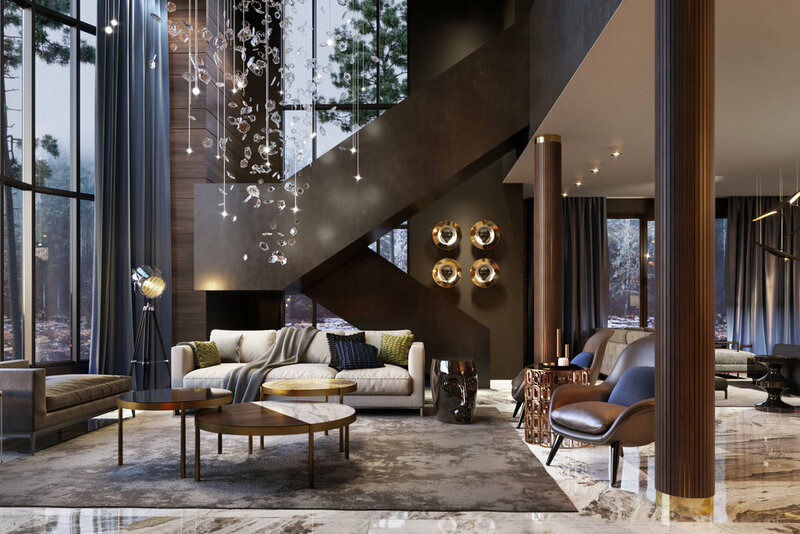 Contemporary interior design is both timely and timeless, on-trend but definitely not trendy, where fashion meets function and architecture meets aesthetics. Contemporary design done well is elegantly appointed and thoughtfully planned, it will have lasting power for years to come as a statement space with wow factor and beautiful flow. I am absolutely loving this design style and am currently working with two of my Ft. Worth interior design clients with visions of replicating this look in their homes. At Susan Semmelmann Interiors, I appreciate the opportunity to work with each client, discover what moves and inspires them, then bring that to life on the blank canvas of their interior spaces. One current design inspiration for me is @studia_54, their work (shown below) is on point and a perfect example of this style and feel. The neutral palettes are soothing to the eye, allowing the main focus to remain on the juxtaposition of light, texture, and focal décor pieces. The emphasis on grand spaces and large windows helps to invite the outside in for a serene and peaceful atmosphere as natural light plays off of the interior surfaces. The bold use of statement light fixtures draws the eye up and creates space and breath in each room. Design like this produces an environment that becomes a daily invitation to come in, have a seat, wrap yourself in loveliness, and stay a while!